Chinese acrobat Kai Hou belongs in The Matrix and he wona��t even need CGI for stunts. In just four days of uploading a short video of him performing back flips and tricks that defy the laws of physics on YouTube, Hou garnered over 75,000 hits. The count is now at over 6,80,000 as he wows the world by spinning off poles, cartwheeling at high-speeds and even back flipping through hoops. And all this while juggling! Watch the video (titled Kai Hou) and perhaps even hire the artiste to entertain at your next bash. The a�?Happy Birthday Colina�� campaign has gone viral with over 2 million a�?likesa�� on Facebook. It began with a message from Colina��s mother telling the world that she wanted to celebrate his birthday on March 9. Colin has disabilities and due to that he said he didna��t want a party because he has no friends. The mother asks people to send positive thoughts toA� a�?join in making my very original son feel special on his day.a�? Tons of presents,A� photos and videos have been pouring in for Colin. Join the brigade, we say! 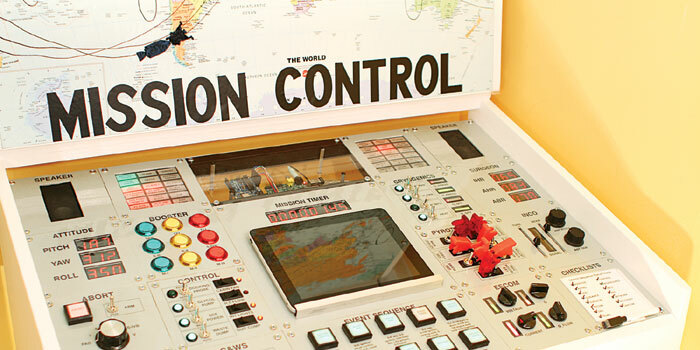 Another person takes parenting to a whole new level with a spaceship mission control desk. Jeff High Smith of Makezine (a website that helps you make creative things from mundane objects) wanted to make his son a homework desk that transforms into an uber cool control panel. It includes NASA-themed buttons, buzzers, switches, sound effects and even a warning alarm. Smith gives instructions on how to make it, so perhaps you can set up a similar desk for your wannabe astronaut too.